Unlike most of the top breeders, I will eventually ship chicks, and some started birds depending on what I currently have. All breeders that I have obtained my breeding birds from have gotten the Mastered title in that specific Breed and Variety. My birds originate from the Chandler line. He is one of the highest quality breeders not only in the country, but in the world. He is the only breeder in this country to ever master in 4 breeds and Varieties. All being Japanese. The Grey variety was his first to master and is the variety that I currently own. Black Sumatras are on the critical scale of the endangered species list. 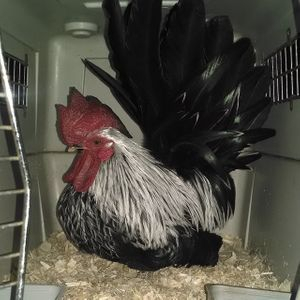 My main breeding male has a Reserve Grand Champion Overall Mature Bird title. 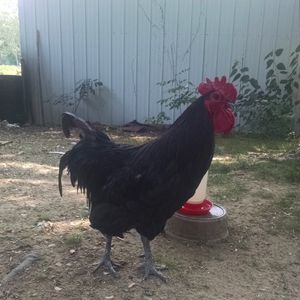 My Australorps originate from the Campbell line. Kirk Campbell was recommended to me by a judge after a show. He is a small scale breeder who does not ship birds. 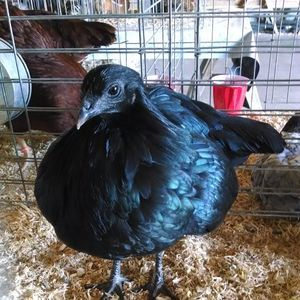 My current Black Australorps have all won champion titles including parents and children. Contact me at (219)250-0036 call or text. I will not answer calls between 5am and 3pm on weekdays due to schooling, however feel free to leave a message and I will get back to you!